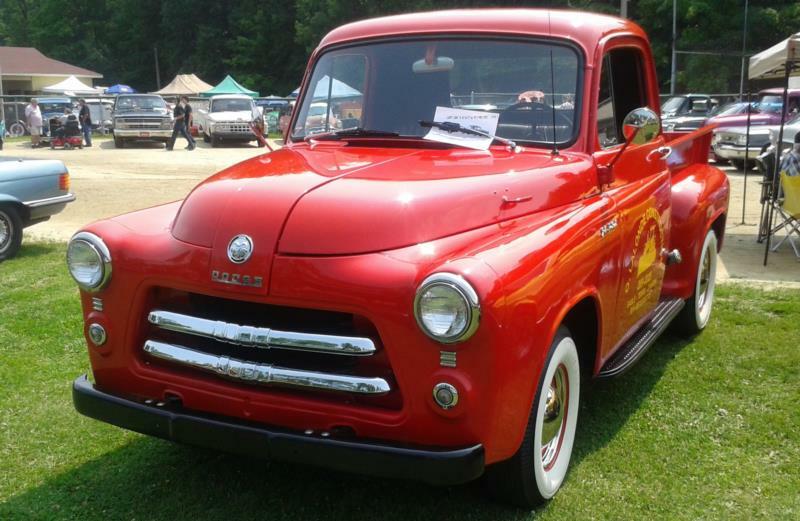 Although styling changes weren’t too radical, the 1954 C-1 series Dodge pickup trucks were in fact all new. The cab sat lower by virtue of a new single-piece floor, and the windshield was now a fixed single pane of glass that was canted at a slightly deeper angle. While the all new front clip still had a two-section butterfly hood, the front end sat lower with headlights on the upper ends of each fender peak between a large trapezoidal grille opening inset with two large bars. 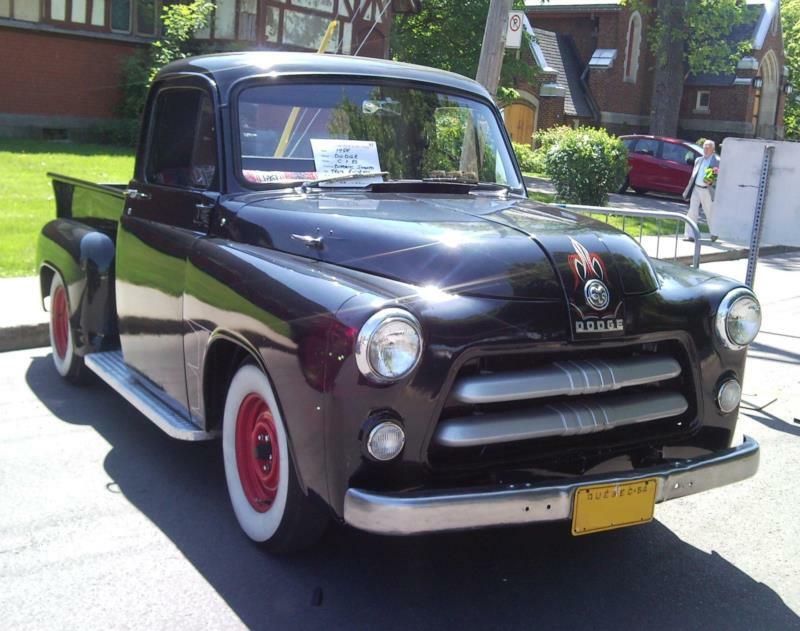 While Chrysler’s time-honed flathead six continued to be standard, the big news was that a 241-cid V-8 became optional in pickups during mid-1954. In April of 1955, the C-1 series was revised into the C-3. Changes included a standard wrap-around windshield, an optional 260-cid V-8, and two new transmission options: a 3-speed with overdrive and the PowerFlite automatic transmission. As a greater emphasis in the industry was on styling and driver comfort, the C-3 received four different levels of trim, going from Standard, DeLuxe, Custom, to the top-end Custom Regal. 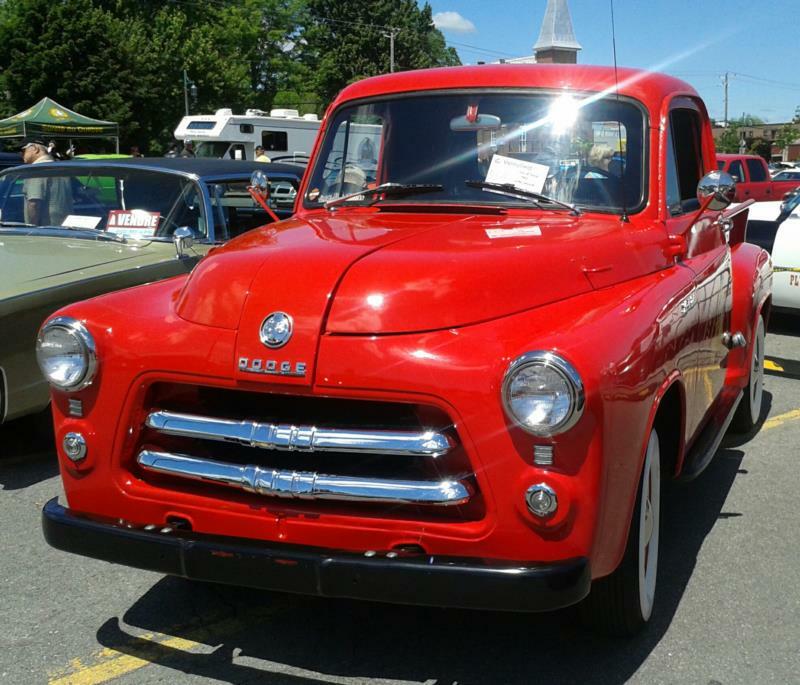 Final changes to Dodge’s C-Series pickup line were initiated in May 1956 until the end of this generation in September of the same year. Primarily, electrical systems became 12-volt, the parking brake location and external badging changed, and the low-sided pickup box was discontinued. For the powertrain, the optional V-8 grew by 10 cid to displace 270 cid.